KompyutHER is a training programme which seeks to improve the computer skills, confidence, and future employability of schoolgirls in Dar es Salaam. Launched by the CDI Education team in 2017, KompyutHER ensures that the benefits of technology reach all of society’s members by cultivating the next generation of female tech leaders. 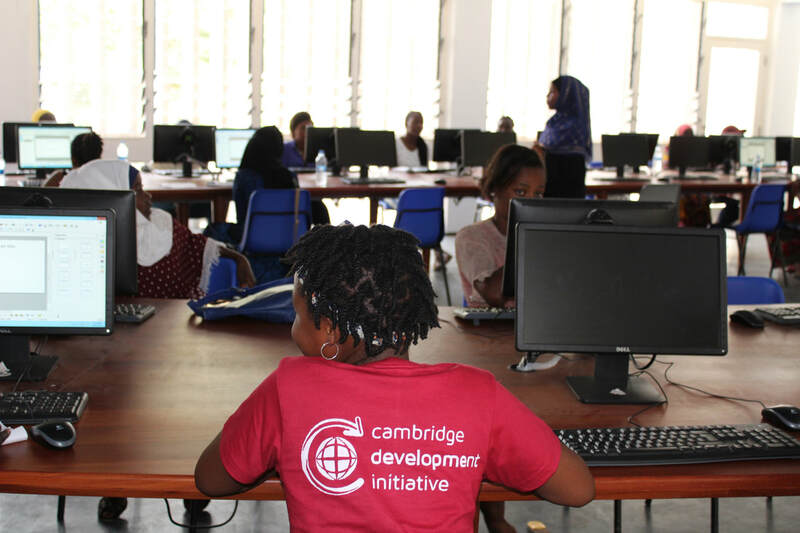 During last year’s pilot in the city’s Temeke district, our Education team trained 18 girls to use different components of a computer, such as the mouse and the keyboard and set up Google email accounts. We also provided professional guidance on careers in the Science, Technology, Engineering and Mathematics (STEM) field. Surveys and tests conducted pre- and post-workshop indicated that it increased participants’ computer knowledge while prompting them to incorporate their newfound skills into future life plans. During this year’s summer session, we plan to expand and enhance our KompyutHER programme to intensify participants’ long-term learning. In collaboration with our local partner KITE Dar es Salaam, Tanzanian and University of Cambridge students will lead this six-week training series. 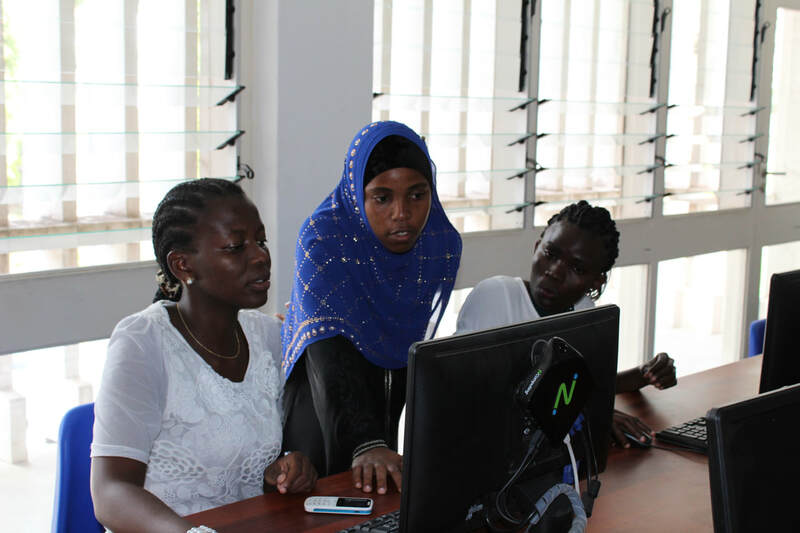 Beginning with the basics, this programme will teach participants to navigate computer basics such as using a mouse and become competent in a range of computer applications including Microsoft Word, Excel, and PowerPoint. Participants will also learn to conduct searches on the internet, set up email accounts and correspond using email and other communication platforms. Additionally, by KompyutHER’s completion, participants will have acquired practical skills such as writing CVs and cover letters. They will also receive useful certificates to show their accomplishments and help them to procure employment. We believe that KompyutHER’s expansion will enlarge out-of-school girls’ opportunities to attain meaningful, productive employment while increasing their sense of self-worth. The first workshop was held on Saturday the 26th of August, 2017 at the University of Dar es Salaam (UDSM). 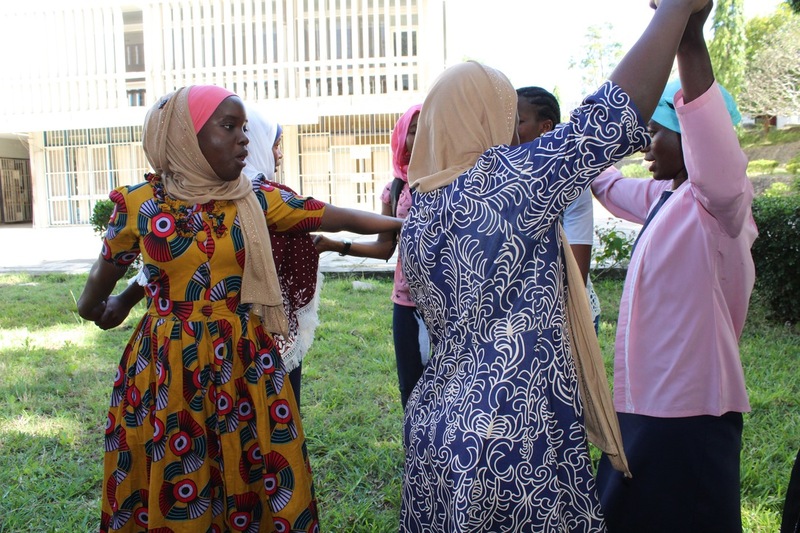 18 girls between the ages of 16 and 21 participated in the workshop, the majority of whom had never attended or were no longer attending school. Over 80% of the girls had never used a computer before, could not remember if they had ever used one before, or had not used one for a number of years. ​By the end of the day, there was a significant improvement in their understanding of some computer programs, every girl had created her own Google account and everyone had collectively discussed how we might use computers in our future careers. As a pilot workshop for a brand new initiative, this was a resounding success. Although there are aspects that require fine-tuning, the positive feedback that we received from the students confirms that the day was effectively informative and enjoyed by the participants.